There is often not enough room for all the ships at the dock so another option is to drop anchor mid-channel. 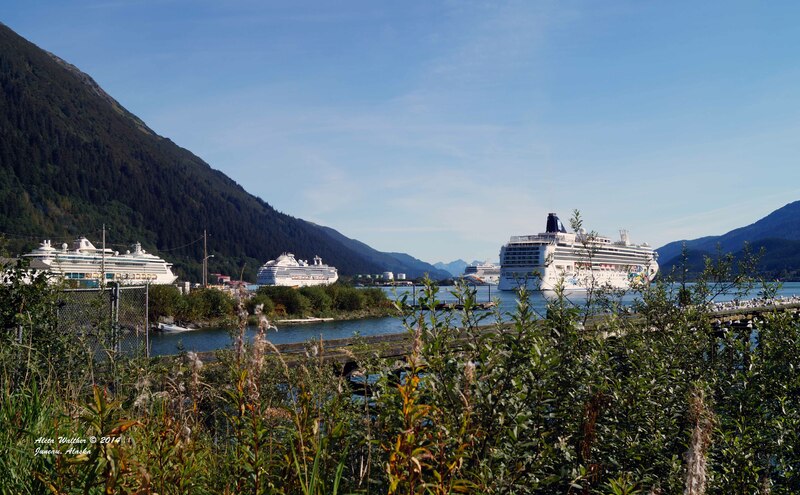 There are excursions/tours that sweep you away from the bus and pedestrian-choked streets and sidewalks of downtown Juneau on a 5-ship day. Of course, you can always get out and away on one of my mountain, glacier-view hikes or whale watching excursions. Or, you can go fishing or kayaking in a secluded bay or flight seeing over the vast and desolate Juneau ice field and its many glaciers. The lodge maintains is rustic allure inside and out. My favorite out of the way adventure is the Taku Lodge’ Feast and 5-Glacier Discovery. Let me say upfront, this is 3-hour adventure and one of the more expensive excursions offered in Juneau, but well worth the cost of $299 for adults and $260 for children. The three-hour venture includes 35 minutes of Glacier Flightseeing in route to the Taku Lodge, two hours on the Taku Lodge grounds, including the option of a guided, interpretive walk through the surrounding old-growth forest. Heads up, take bug spray if you venture into the forest as the mosquitoes can be pesky. 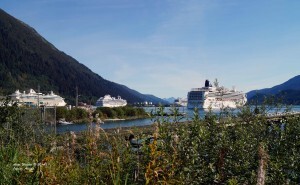 The adventure ends with a 15-minute flight back to downtown Juneau’s waterfront. 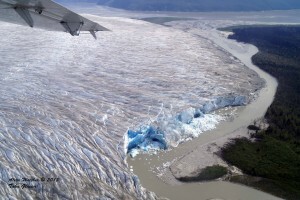 The float plane flight includes majestic blue and white views of five glaciers. What makes this excursion truly unique from any other outing out of Juneau is its Taku Lodge. 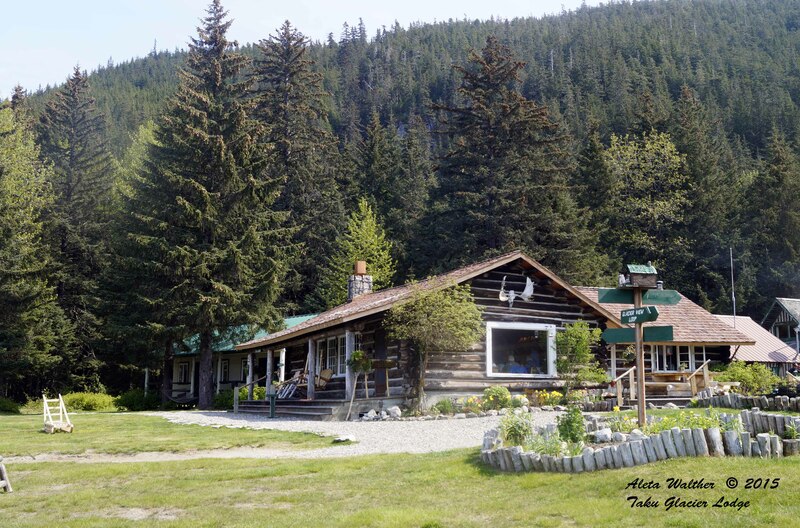 The lodge was built in 1923 by a Juneau doctor looking for a hunting and fishing getaway. And remote and secluded it is. 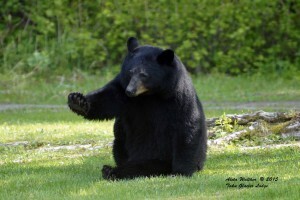 Although the lodge is only about 30 miles south of Juneau, there are no roads to the lodge. Today, guests arrive in one of the lodge’s roomy, 11-seat DeHavilland Otter float planes which offers a window seat for each passenger. The flight includes incredible views of the area’s glaciers, mountains and waterways. While lodge visitors are usually in awe of the quaint compound and the head-on view of the Taku Glacier, I am taken slack-jawed by the torrential power and massive magnificence of the Taku River which surges between the lodge and the glacier. The meals are simple, filling and tasty. I particularly like the sugary ginger cookies, followed by the grilled Alaskan Wild Salmon and herb biscuits. There is also coleslaw, pioneer fruit compote (cinnamon sugar apples and raisins) sourdough bread, coffee, lemonade and tea. Brunch crowds get all of the above plus reindeer sausage and scrumptious scones. Beer and wine are available at a “minimal” cost. I was, however, disappointed that they did not have soda. Not that I need it. For most visitors, the highlight of the trip is the appearance of black bears that show up at meal time. 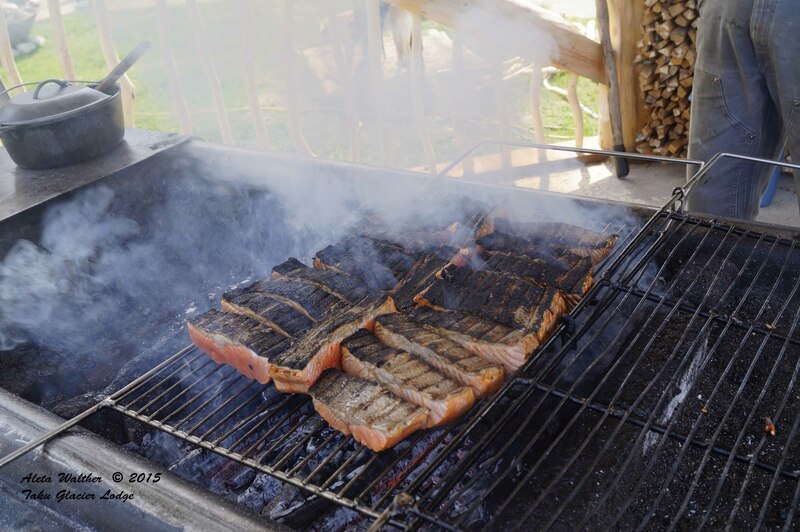 I suspect they are food-conditioned to the smells of salmon on the open grill. I am. 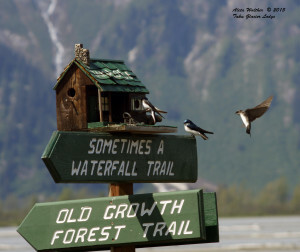 Another great aspect of the Taku Lodge’ Feast and 5-Glacier Discovery is the three-hour time frame which leaves time to explore downtown Juneau’s many historic buildings and sites, shop or take a leisurely stroll on the board walk or over one of the easily accessible trails. Rain or shine this adventure combines the best that Alaska offers; seclusion, serenity and scenery, wilderness, wildlife, flourishing forests, gargantuan glaciers and great eats. * May 6 edition of the Capital City Weekly, Elizabeth Arnett, Juneau Convention and Visitors Bureau.